But there is one thing I will not miss about this summer is the mosquito bites. For about a month-and-a-half, my legs were constantly itching, and I must’ve received over 30 bites!! You’re probably asking why in the hell I don’t use bug repellent! Well, first off, I’m lazy, and second, I’m a little twitchy about that stuff getting into my bloodstream, and third, I haven’t bothered with doing an online search for better bug repellent, so I’ve been using this bug bite relief stuff that you can rub on the bite (and make it itch more!) and it only works half the time. I torture myself…too much! Now I must say that these cookies are the official cookie of summer! 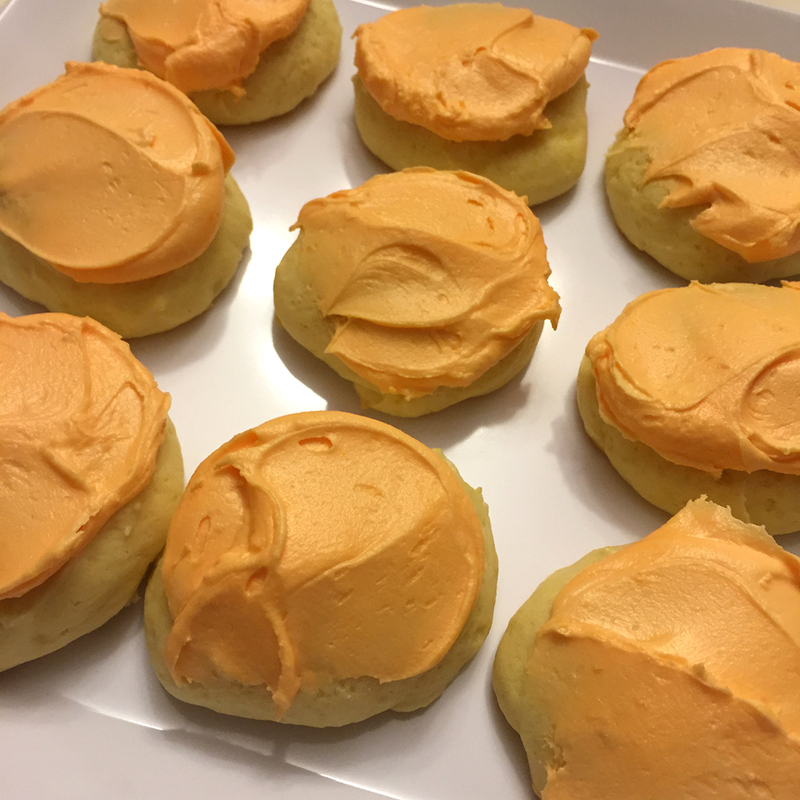 They’re soft, and the citrus-y flavored frosting has the perfect touch as well as the citrus-y flavor in the cookie itself, and they’re great for kids. And yes, they are Alex-approved! Right now, I’m holding off on all things pumpkin spice until the first official day of the autumnal equinox, because I’m currently savoring the last hours of sun and citrus, and devouring these cookies. So for now, goodbye, summer. It’s been real! See you next year! • Preheat oven to 350-degrees. Spray cookie sheets with non-stick spray, or line with a silicone mat or parchment paper. 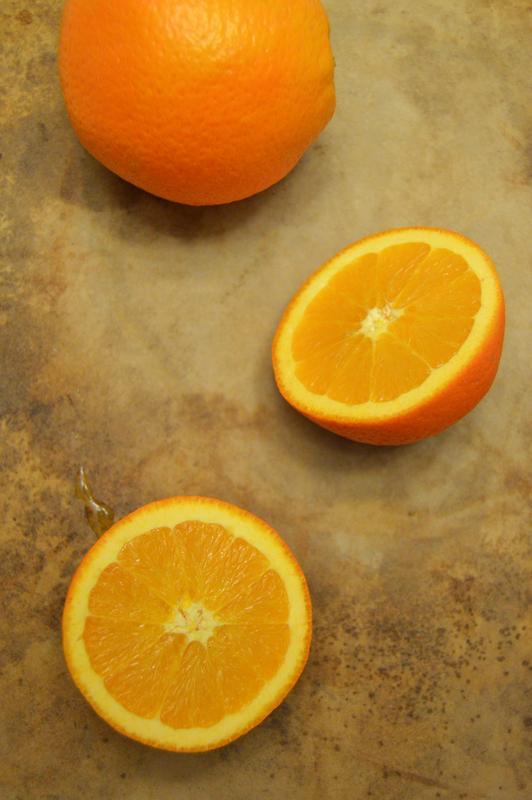 • In a small bowl, grate both oranges and then cut them in half to squeeze out the juice. Stir together. 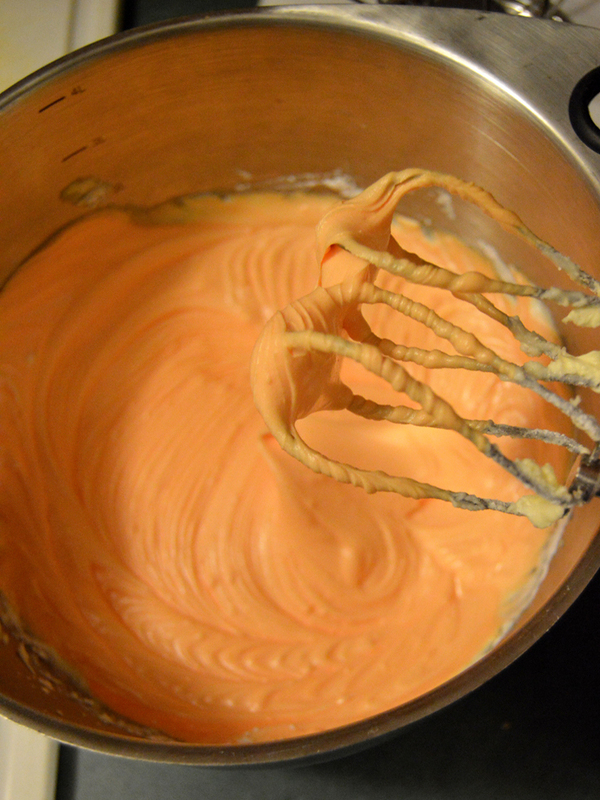 • In a mixer bowl with paddle attachment, cream together the margarine and sugar. Then add eggs and beat well. • In another small bowl, stir together the baking soda and buttermilk until dissolved; blend into the wet ingredients. • In a large bowl, mix flour and baking powder together. Then alternately add to the wet ingredients. Fold in HALF the orange juice/zest mixture (Save the other half for the frosting!). 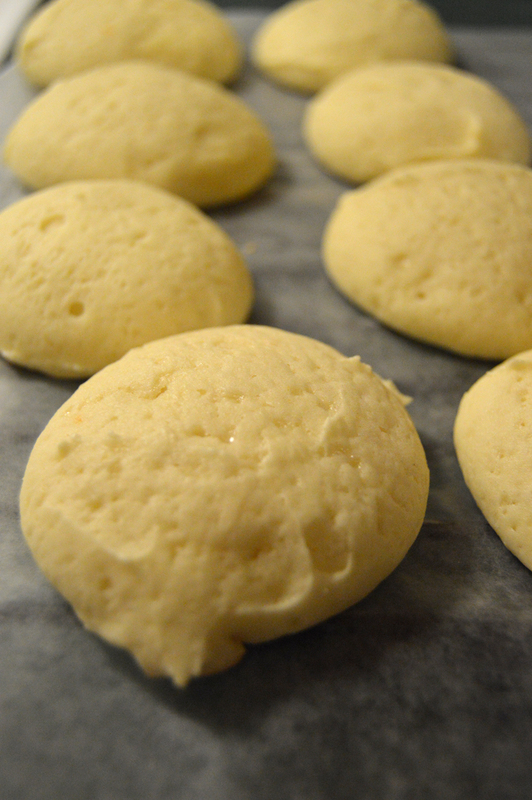 • Drop heaping tablespoonfuls of dough onto prepared cookie sheet. Bake 10-12 minutes until golden on the bottom. • In a mixer bowl with paddle or whisk attachment (I normally use paddle attachment; either one works well.) mix all ingredients together until a nice, soft consistency. 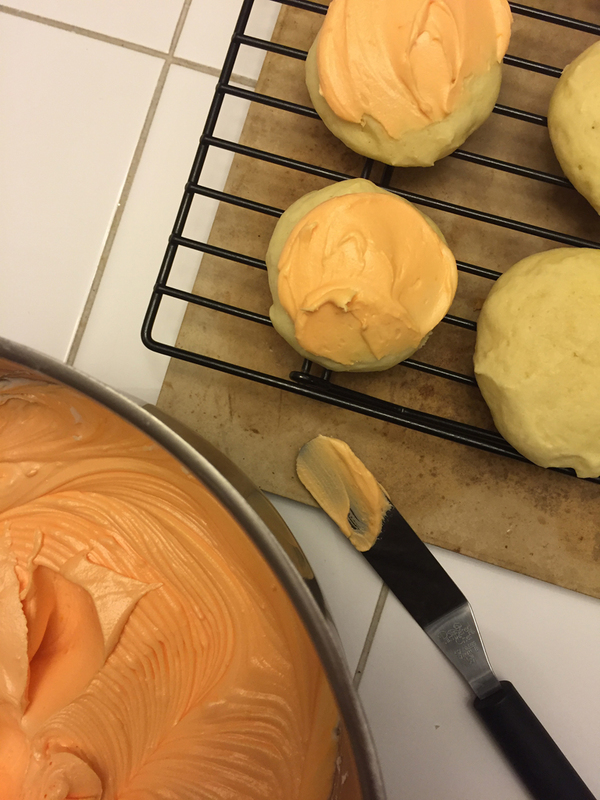 If frosting is too thick, add a tablespoon of milk at a time until it thins to your liking. 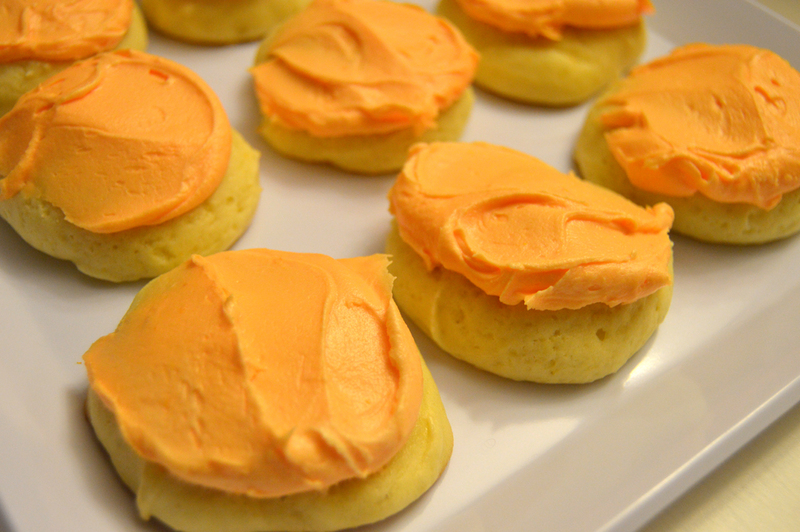 • Frost cookies and decorate with sprinkles, if desired.